Life is full of lines and limits. Sometimes, we’re pressed to push the boundaries without getting stuck too far on the other side of the line. One of those “fine lines” you don’t want to cross too far over is the line of mixed patterns. Get it right and you’ve got an effortlessly chic vibe. Get it wrong and it looks like your schizophrenic great aunt decorated your space! Pattern mixing is all about trial and error. It’s hard to pin point exactly what makes certain combinations work, but when you’ve done it right, you’ll know. We’ve put together some fool-proof tips to help you get started. These are more guidelines instead of hard rules, so have fun, experiment and push the boundaries a little. You’re just handling pillows and throws after-all. It’s not like you’re choosing your next tattoo! 1. Stick to a color palette. Choose what colors you want to incorporate into your room and go from there. Make sure the colors complement each other instead of compete for attention. 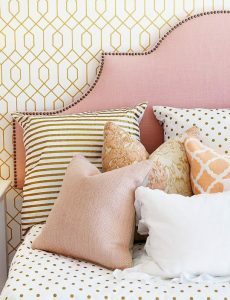 Then try to incorporate patterns that fit into the color scheme. Another tip? 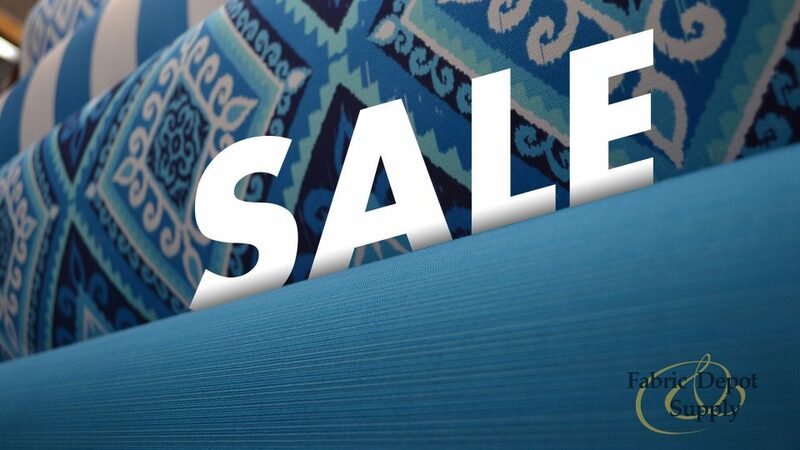 Find one common color in each of the patterns to ensure that they’re cohesive. 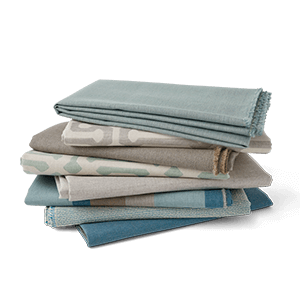 For beginner pattern mixers, sticking to three colors and a neutral or two makes the process infinitely easier. Just like with colors, you want to make sure that the patterns don’t compete with each other. If you already have one big and bold large-scale pattern, choose the others in small and medium sized prints. Ditch the notion that stripes and polka dots don’t go together. They do, and it’s one of the best combos around! Mix things up by using a geometric print or a bold stripe and pairing it with a more subdued, small print such as a floral, a small dot, or a thin stripe. This gives the room character and contrast. Here’s a trick: Try holding up the patterns next to each other and squint your eyes. If you can distinctly tell a difference between each pattern, you’re golden. If you can’t, the patterns are probably too similar which will be confusing to the eye. 3. Don’t stick to just pillows and fabrics. 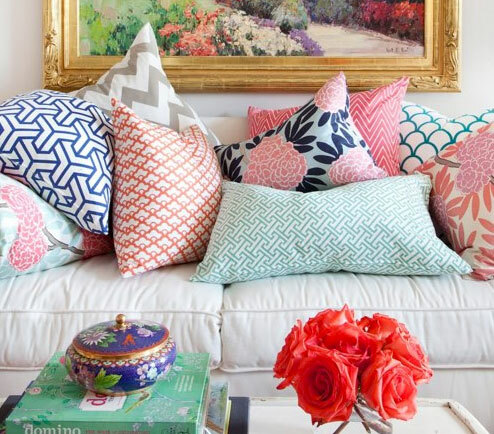 Try adding patterns and geometric shapes into things other than just pillows and fabrics. You can use the lines of furniture to add to the dimension of the room. You can also be bold and add patterned wallpaper to a single wall in a room. The point is, don’t put yourself in a box. Break outside of it and use your creativity to really shake things up. 4. Use a neutral to tie it all together. 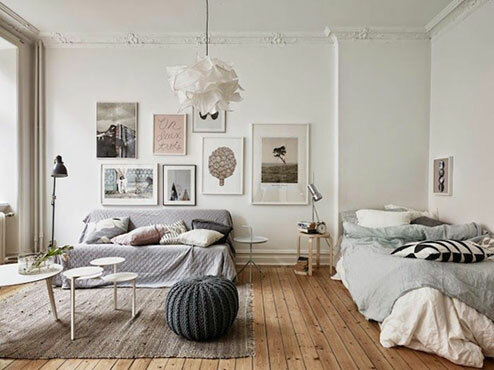 Don’t forget to create “white space” by adding a neutral or two into the mix! Using all bright colors and bold patterns is never a good idea. Instead, throw in at least an accent of white, black, gray or cream to tie the look together, tone it down a bit and give the eye some rest. 5. Sometimes, it just works. Remember when I told you that these aren’t hard-and-fast rules? Sometimes a certain combination looks spot on, but you can’t pinpoint what makes it look oh-so-lovely. You might say “it just works” even though it breaks the “rules” (if I should venture to even call them that). For example, florals paired with florals brings a certain level of feminine sophistication and whimsy. However, you really can’t break down why certain floral prints go so well together. They are similar in structure and scale, yet they pair beautifully. What does this mean? It means the most important thing to remember is this: If you like it, run with it! Use what I’ve mentioned as a guide to get you started. Experiment until you find your winning combo. We have a team of experienced designers on-hand and eager help if you need assistance. If you have any questions or additional tips, let us know in the comments or send them to marketing@fabricdepotaz.com.